Total Metals is by far the world’s largest database for metallic material properties and sits at the core of the Total Materia product offering serving as the gateway for an unparalleled collection of datasets and modules which serve the global engineering community. 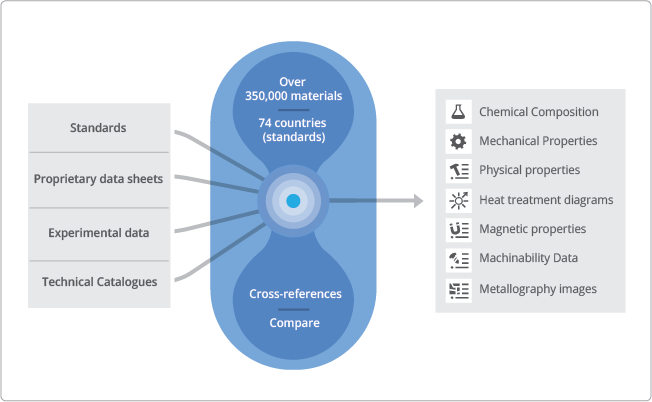 Focused on providing standard metal properties data, Total Metals provides you with a staggering 15,000,000 property records for over 350,000 materials from 74 countries/standards. 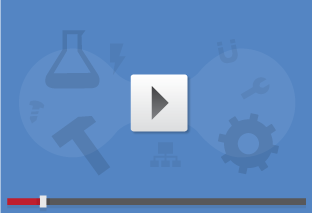 Total Metals module provides you with the ultimate solution for metals properties, cross-referencing, and knowledge, by integrating information from 74 Standard Development Organizations (SDOs), and hundreds of producers and other sources into the most comprehensive database in the world, powered with a superfast search engine. 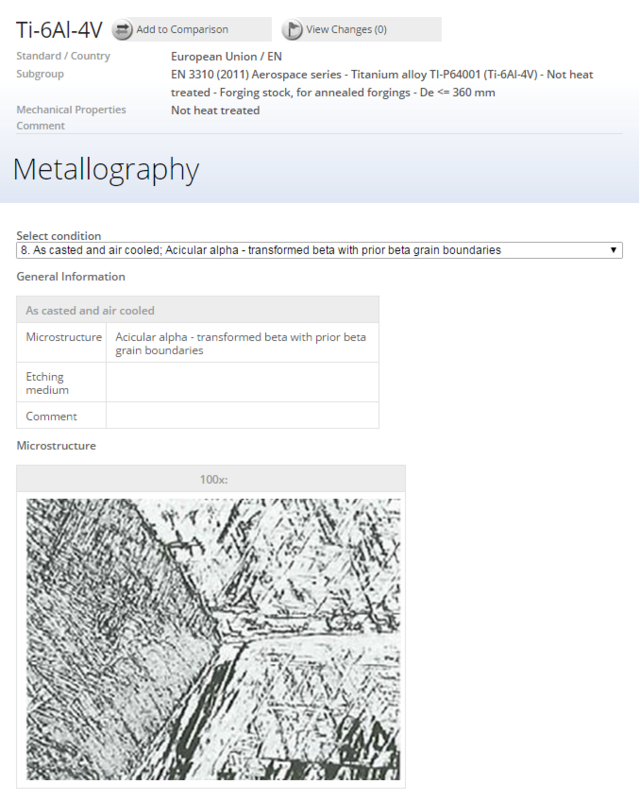 From chemical compositions, cross-reference tables, mechanical and physical properties at room, elevated and subzero temperatures, to additional information such as heat treatment diagrams, metallography and machinability, Total Metals gives you the highest quality and reliability of the only certified database of its kind in the industry. 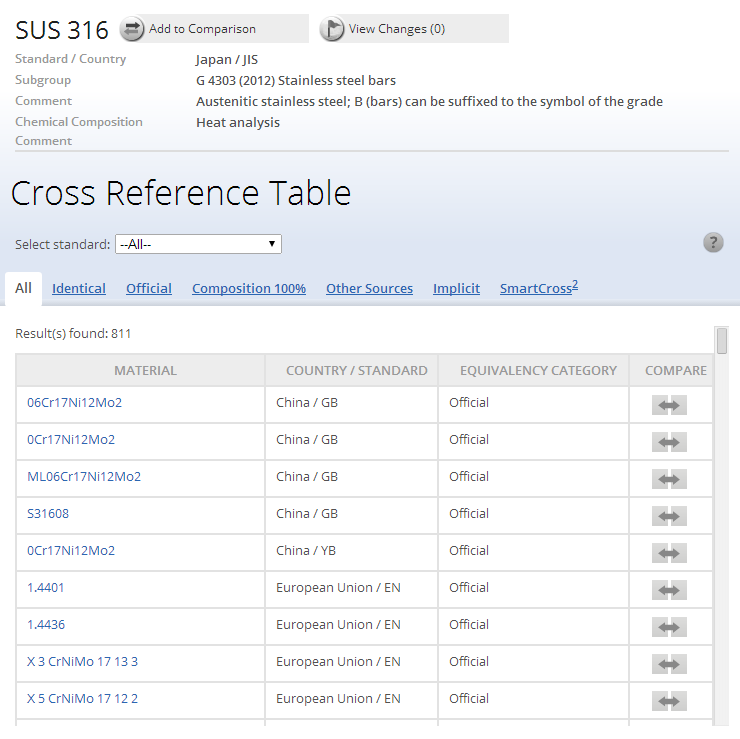 The most comprehensive cross-reference tables with more than 15,000,000 records for equivalent materials worldwide are systemized using a proprietary classification of similarity. In addition, patented SmartCross2 algorithm enables identification of unknown equivalents using similarity of composition, mechanical properties or their combination. 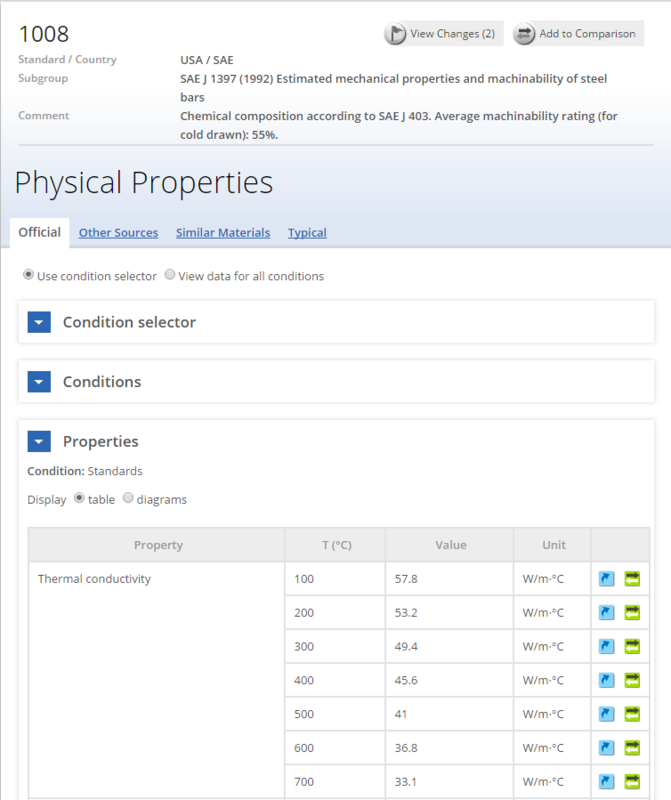 Total Metals materials and property information are updated every month, keeping you up-to-date with the newest standards developments, as well as upgraded with new datasets, new unique algorithms and new software features. All aspects of Total Materia are fully supported by a dedicated team of specialists with over 300 years of combined industrial experience that provides technical consulting support FREE of charge for all subscribers!